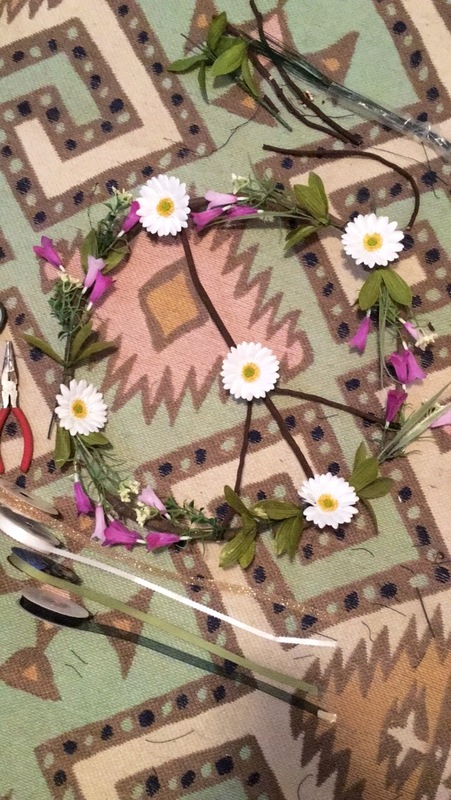 Mold your vine into a circle and use floral wires to secure. 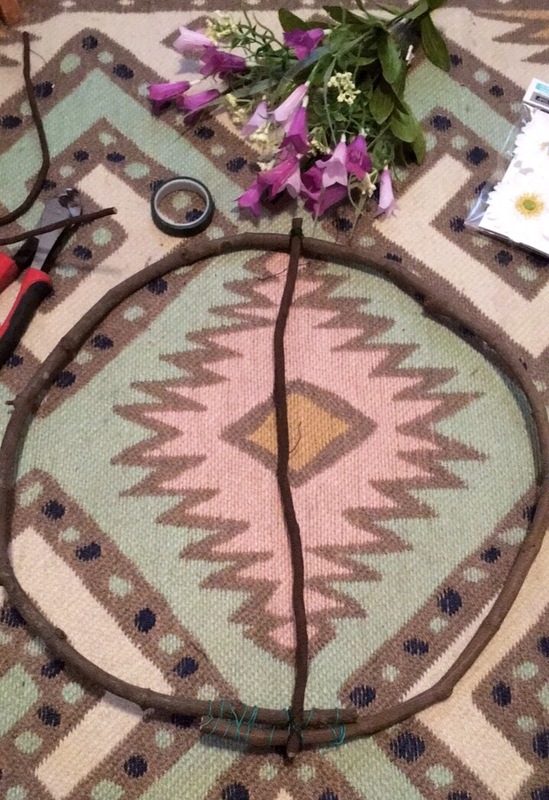 Then take a straight peice of vine and cut it so that it’s 1-2″ longer than the Diameter of the circle. This will make it easier to secure, you’ll clip it later. 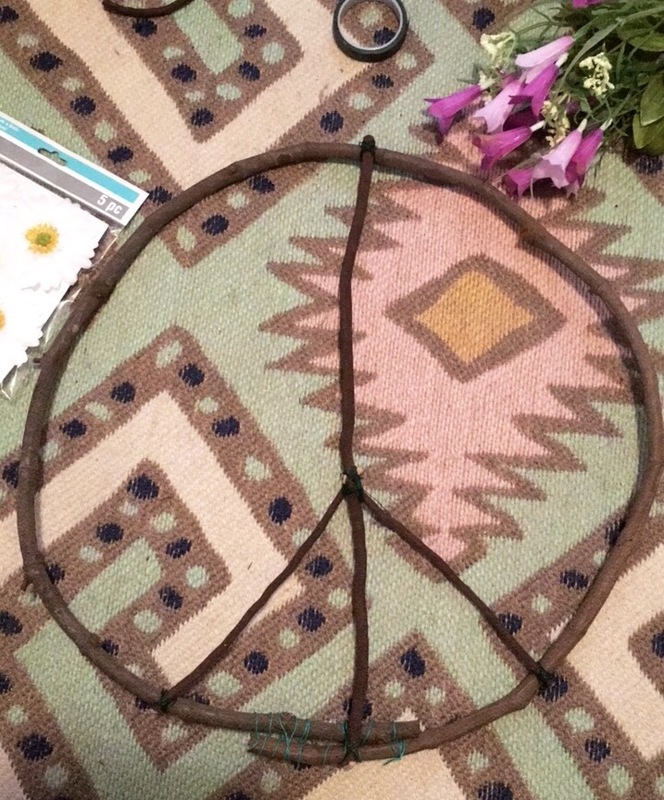 Notice I chose to face the overlapping part of the circle torwards the bottom of my peace sign. 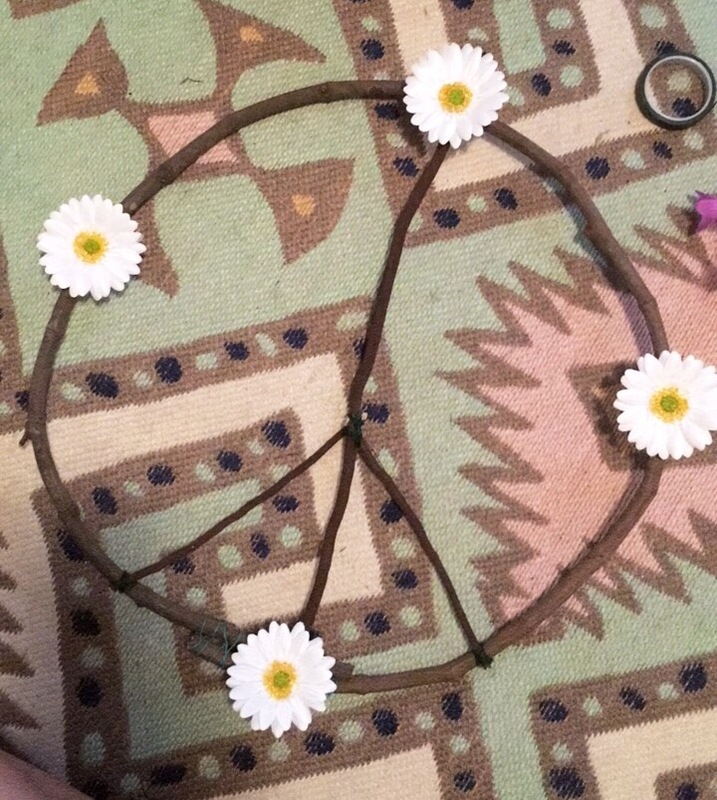 This way it will be be hidden under the ribbon. I only shop for floral when it’s 40% off or when I have coupons for one item 50% off. 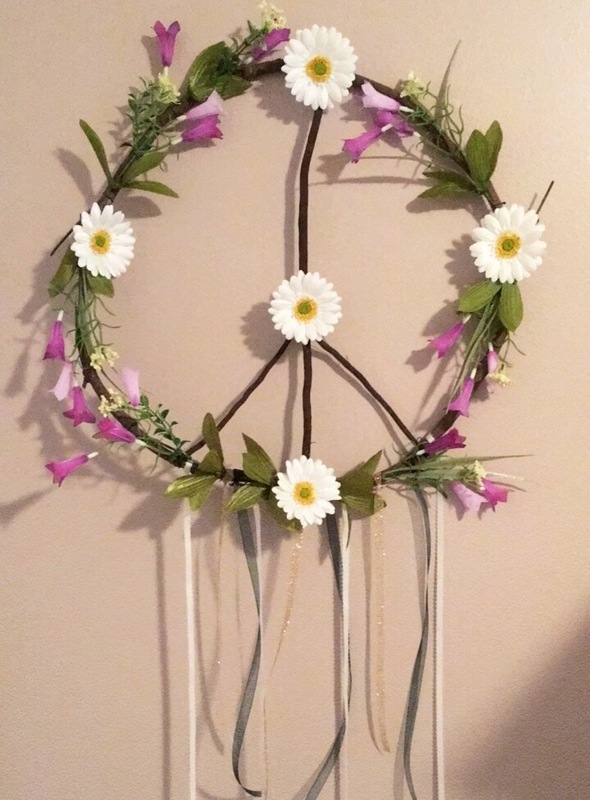 Grand total for this project was $7. That might be a DIY record for me folks. Let me know if you have any questions. I hope you’ve enjoyed this DIY. I’d love to see yours if you give it a try, so tag me in your pictures on Instagram! Speaking of Instagram, are you following me there? Word on the street is that I’m co-hosting a giveaway soon. Click here to follow so you don’t miss out! Next Hey Beautiful, Drink Some Water With Me?